John has shared the stage with greats such as Delfeayo Marsalis, Wycliff Gordon, Marcus Roberts, Arturo Sandoval, Curtis Fuller, Marcus Printup, Houston Pearson, Rufus Reid, Ben Tucker, James Moody, Nathan Davis, and David Baker. 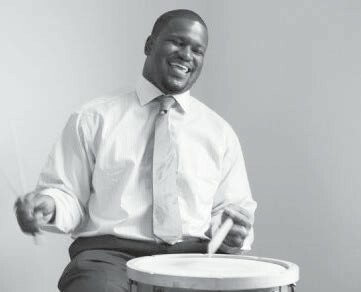 John serves on staff at the University of North Florida and Douglas Anderson School of the Arts, is also the founder of the Discovery Jazz Series at The Ritz Theatre and Museum in Jacksonville, FL. John is joined by a distinguished group of Jacksonville musicians Josh Bowlus, Stan Piper, Daniel Dickenson and vocalist Tori Peoples. $20 General Admission. Free to Coastal Jazz Association Members and students with valid student ID. Coastal Jazz Association is a 501(c)(3) charitable organization. Memberships and donations are tax-deductible.